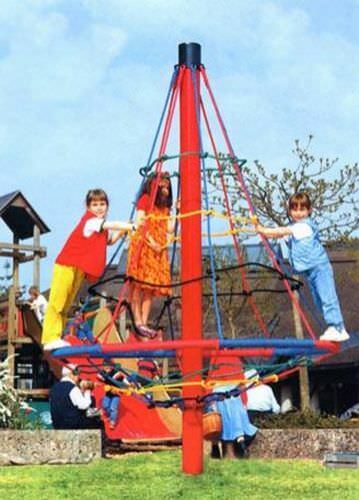 Multifunctional tool that can be used for rotation, swinging, standing, climbing, and socializing. The pillar is made of galvanized steel and painted with nontoxic outdoor paint. 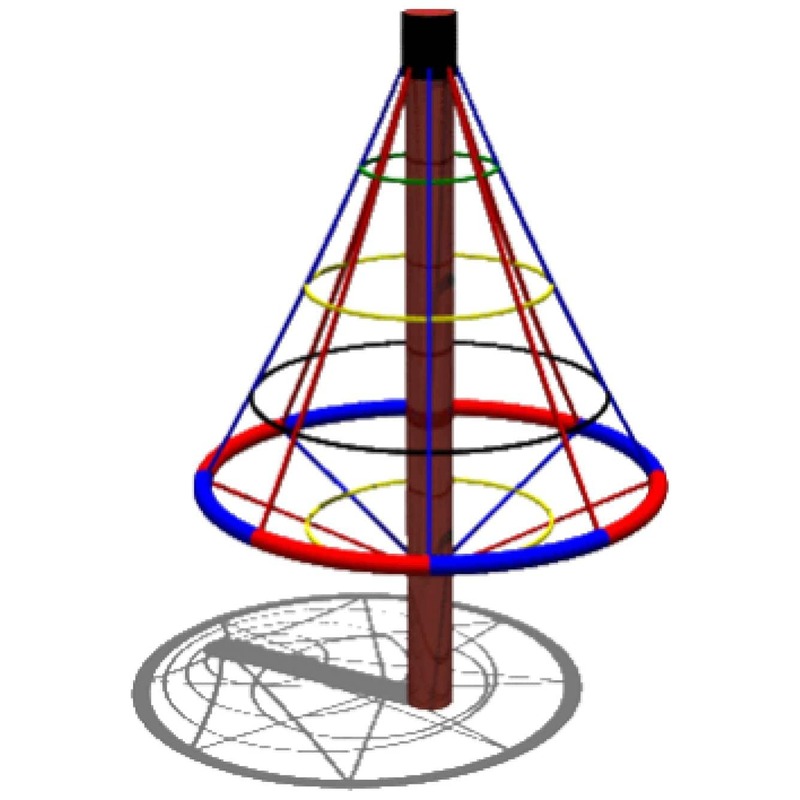 Rotating rings ø 200 cm, placed at 50cm from the ground, is made of steel and coated with synthetic coloured rope for anti-tampering. All climbing ropes are equipped with internal steel core and are firmly connected to the rotating structure. The central pillar is fixed to the ground with concrete foundations of adequate size. Produced in accordance to the European safety standards EN-1176.